Okay if you want to hear really stupid things google them. I looked out of curiosity and because we had a very unsuccessful swim event for kids last evening. Now without debating a myriad of silly issues about swimming I am going to say that the sports that get the least attention in some communities have the fewest participants. Who knows how to swim and how do they learn? I grew up in Manhattan, the only child of a father who was afraid of the water and a mother who knew how to swim. I did not have a local Y to go to or any indoor pool that I can remember. Occasionally we went to public pools but not often. Yet I have been in the water my whole life. Probably because my mother loved the water and she passed that information on to me. So dispensing with a lot of other theories, I think that you only know about swimming what you are exposed to. 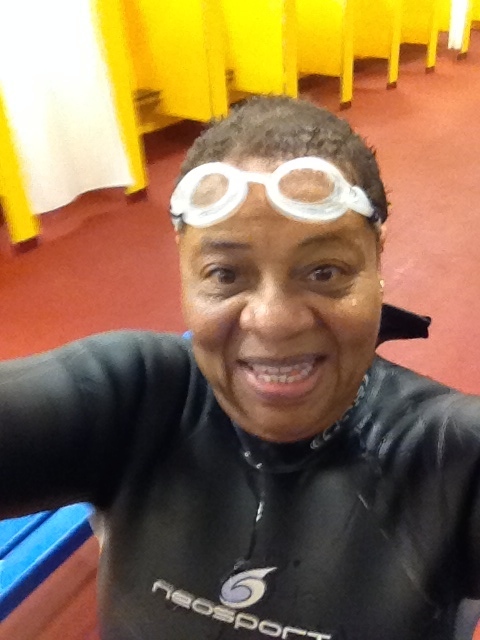 Currently I am enjoying a Facebook page dedicated to Black Triathletes. Before you say why is that page necessary, it’s to offer support and spread the word about a sport that may still be unknown to many minority people with athletic aspirations. 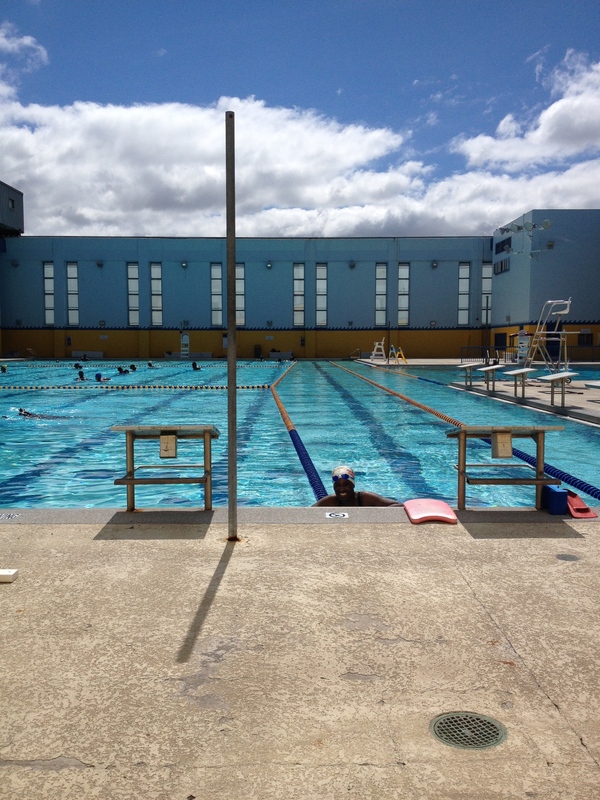 Swimming is often the topic of conversation because many people haven’t learned how to swim. So much work to do. Pass the word, swimming is fun and may save your life one day. If you live in New Jersey and can come to Newark, let me know we have a beautiful pool, a Master swim team and would love to have you learn to swim!